If you’ve been invited to a Bar or Bat Mitzvah or a regular service at a synagogue for the first time, Rabbi Richard Polirer has some tips for you. If you’ve never visited a synagogue before, there are several simple ways to prepare yourself for your first visit. 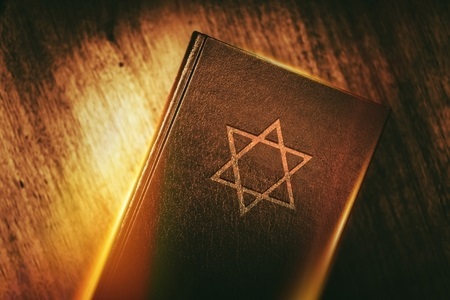 Here are several things you’ll need to know before you make your first trip to a synagogue. Dress appropriately when you visit a synagogue. It’s important for you to be mindful about what you wear when you are preparing to visit a synagogue. Most men wear formal attire and put on something called a tallit before entering a synagogue. It’s a white shawl that sits on their shoulders. You don’t need to wear one if you’re not Jewish, but you should consider wearing a yarmulke or some other kind of hat since it’s considered a sign of respect. Women, on the other hand, should consider wearing a long skirt and a modest top for a synagogue visit. Turn your cell phone off before walking in. If you’re visiting a synagogue for a Bar or Bat Mitzvah or another type of celebration, you might be tempted to pull out your cell phone at some point to take photos. Do not do this. Cell phones are not allowed to be used in a synagogue, even during special occasions. Shut your cell phone off at the door and leave it off until you leave the synagogue. Follow along with a service by using a siddur. During your first trip to a synagogue, you might feel a little bit lost once the service starts. Fortunately, you can keep up with what’s going on by using a prayer book that’s called a siddur. A siddur will serve as your guide as you move throughout the service. Pay close attention to when you should be sitting and standing. There are times during a service in a synagogue when you are going to be sitting down. There are also times when you will be standing, especially when the Holy Ark is open in front of the congregation. Follow the lead of others and sit and stand when they do. Are you looking for a rabbi to officiate your next life-cycle event or an online religious teacher? Rabbi Richard Polirer would love to speak with you more about his services. Call 954-234-4153 today to get in touch.